Cottage was built in 1928 and totally refurbished in 2007. 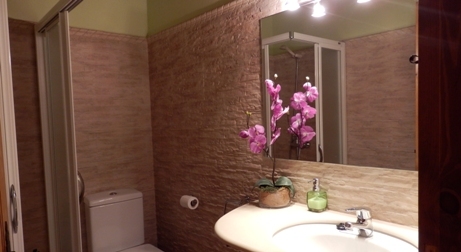 It is a fully-equipped house with and it has capacity for 6-7 people. 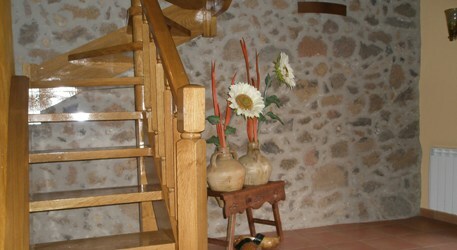 It is provided with a heating system, air conditioned and WIFI. A big wardrobe can be found in the entrance in order to put clothes that guests need to store. The building has three bedrooms. Purple Room: Purple room or "kids room" has two bunk beds. An extra bed is also available in this room. Blue Room: A double bed, a couple of night tables and a dressing table are the furniture included in this room. 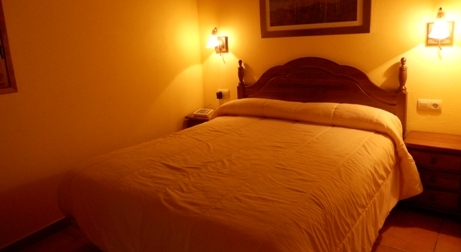 Yellow Room: A double bed, a couple of night tables and a clothes stand are the furniture included in this room. Bed linen is provided in all bed rooms. A full equipped kitchen with electrical cooker, oven, fridge, dishwasher, Dolce Gusto coffee machine, all types of kitchen utensils are available. For having meals, apart from the dining room table, there is a kitchen bar if you prefer eating there. 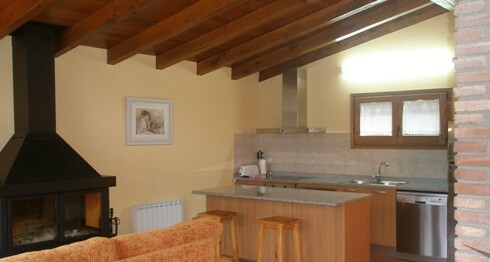 In the dining room you can find the sofa, TV, DVD, hearth and nice views through the big windows. Next to the kitchen there is the pantry. Washing machine and cleaning utensils are in this room. Two complete bathrooms (WC, toilet, shower) can be found on the building. Towels can be found in the wardrobe. 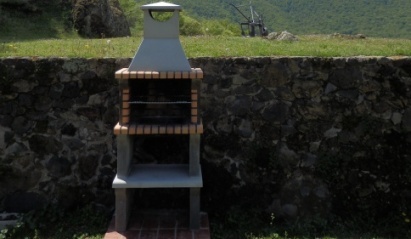 An external barbecue can be also found in the cottage.